Tour departs Nairobi and visits exciting category A Kenya national parks and game reserves on a progressive safari. On day one of the Kenya classic tour -we shall visit the red soil plains of Tsavo East followed by the scenic hilly terrain of the Tsavo west and later the Amboseli at the floor of Mount Kilimanjaro. We shall proceed to the freshwater Lake Naivasha where we take a boat ride to view hippos, exotic birds and small game. Still around the Lake Naivasha, we shall visit the Hell’s gate national park,by bicycle and hiking. Safari tour then proceeds to Lake Nakuru national park with its famous bird population and Rhino sanctuary. 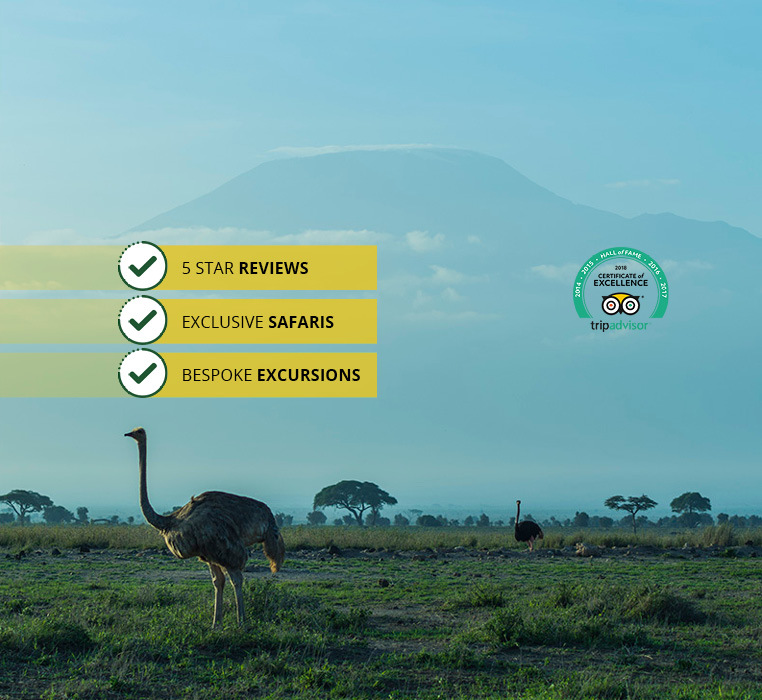 Safari shall lastly visit the legendary tree studded plains of the great Masai Mara game reserve for more game drives in search of the Big5 and other wildlife. The 9 days long haul Kenya classic safari takes you through to experiences a diverse representation of entire Kenya with great game viewing drives, scenic sights, physical activities,relaxation and cultural encounters. Tour is offered with a choice of economy, comfort or luxury safari lodges or tented camps accommodation depending on your budget / style. If you choose to stay at The Pelican Lodge, Sarova Woodlands or Sentrim Elementaita lodge note that there shall be no re-entry at Lake Nakuru National Park on the following day. 6.00AM: Pick up from your Nairobi hotel/Nairobi airport or Nairobi residence in the early morning. Proceed along the Nairobi -Mombasa highway with pitstops. Proceed for an afternoon game viewing drive. It hosts the highest and most varied concentration of wild animals than any other wildlife park in the region. You shall visit the Mara river where you watch hippos & crocodiles or maybe the great migration (July – October).